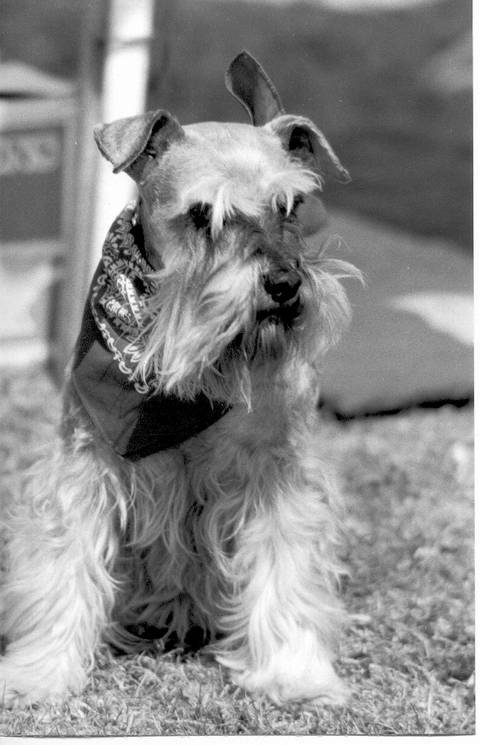 Cookie was my first import in 1980 and was imported in whelp and produced seven puppies in Sydney Quarantine (2 males /5 females). Mrs Betty Fletcher of Arbey Kennels bred "Cookie" for me and kept her until she was old enough to mate and then shipped her to Australia where Cookie and her offspring feature behind my kennel and Koobalies. Cookie carried the black & silver gene and her progeny produced both pepper and salt as well as black and silver champion offspring.